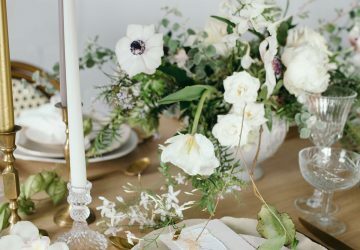 If you consider yourself a DIY bride or want to add finishing touches to your wedding decorations or stationery you must check out our latest additions to our DIY Bride collection. We have recently added a whole host of new rubber wedding stamps, from Save The Date to To Have & To Hold as well as lovely stickers which can be added to wedding stationery or favours and some fab gift tags too. 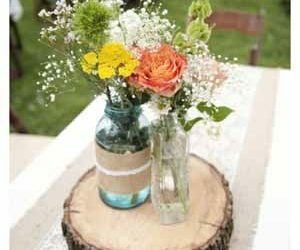 Read on to see our latest DIY wedding bits and pieces. 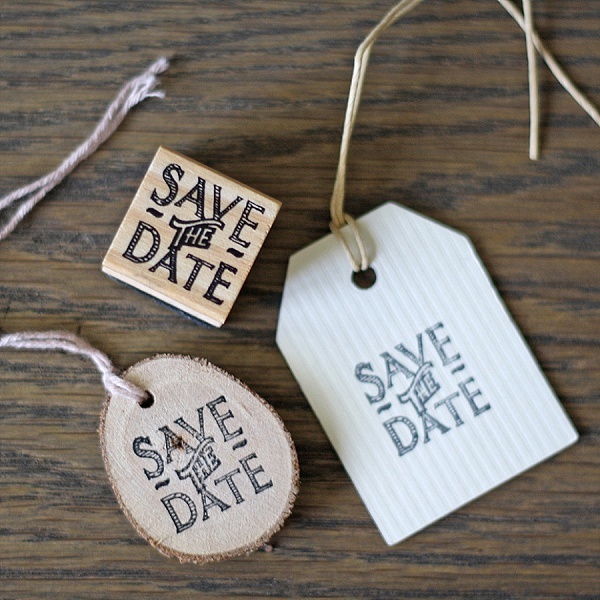 Use this save the date stamp to create your own save the date cards. 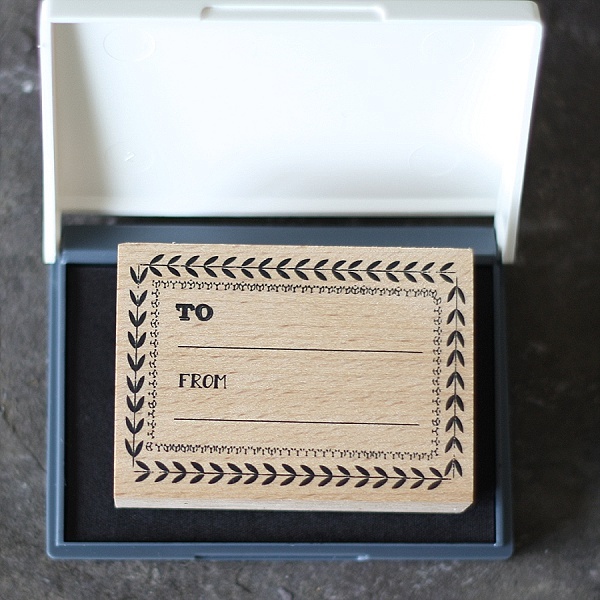 Use the stamp on a luggage tag or even one of our wooden gift tags for a woodland look. 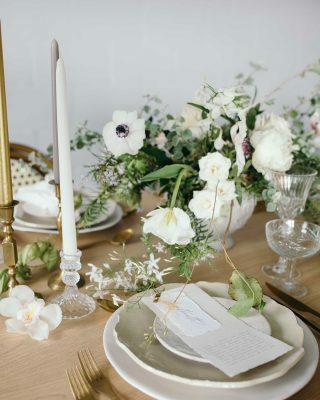 If you or your family are making anything for your wedding whether it’s a favour or gift let your guests know by stamping the gift tag with our new stamps. 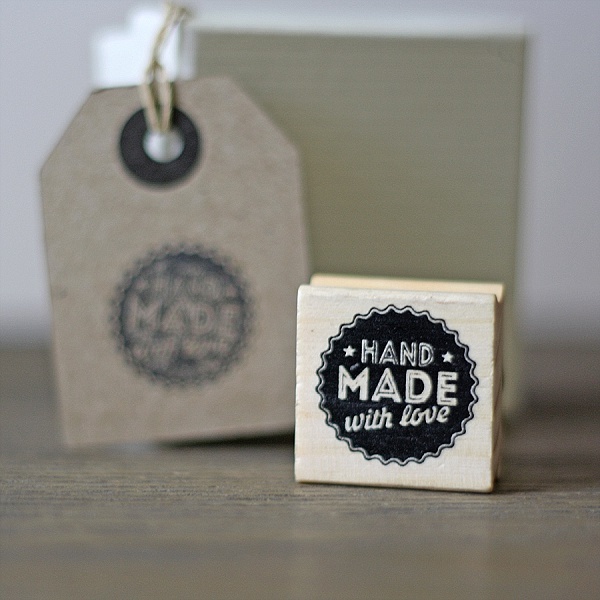 Add a DIY finish to your wedding favours, gift wrapping or stationery with our ‘To Have And To Hold’ stamp. We think they look lovely on our little wedding favour envelopes which you could fill with sweets. 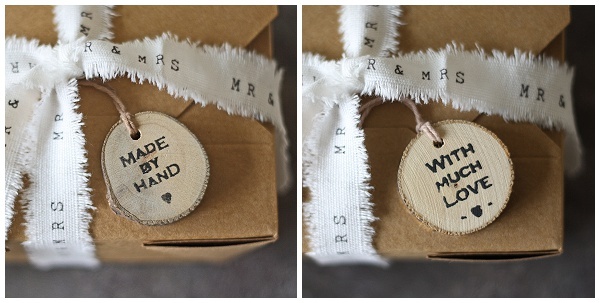 For a winter wedding we love this little fir tree stamp. 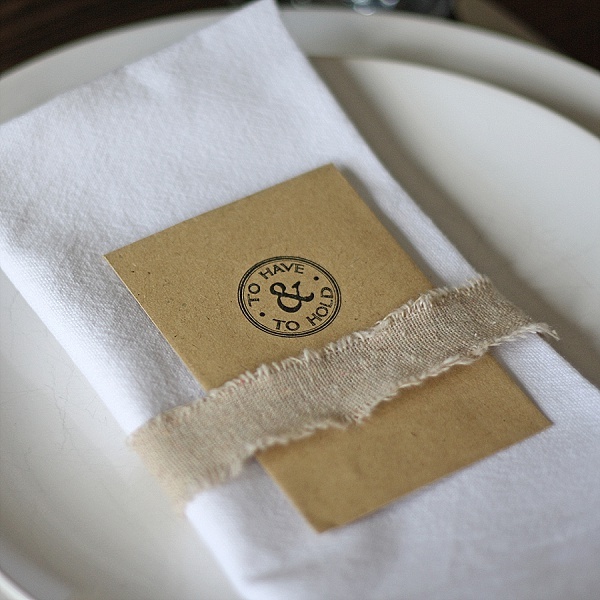 Add it to your menus or table numbers if you are making them yourself. 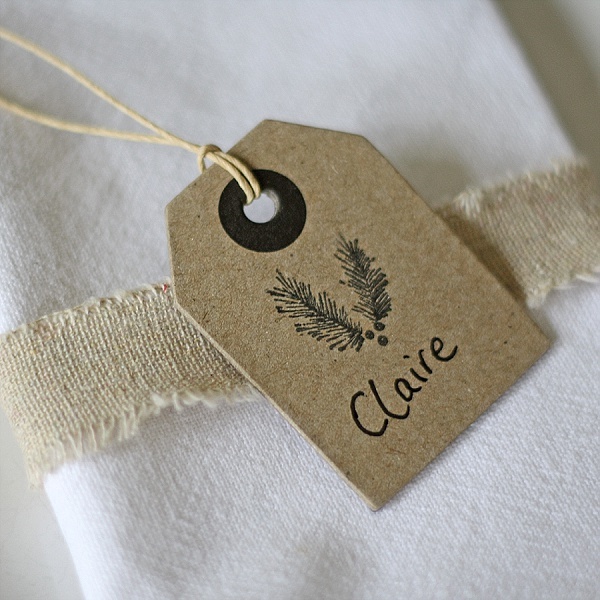 For a winter place card you write your guests names on luggage tags and add a fir tree stamp. 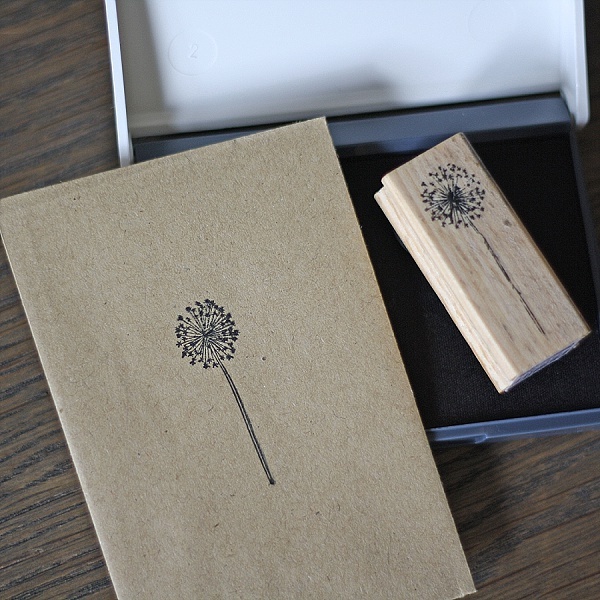 This cute dandelion stamp is perfect if you are giving your guests seeds as a wedding favour. 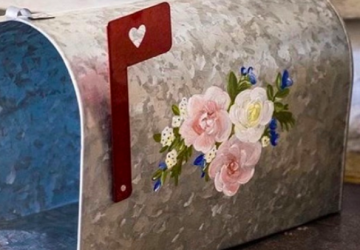 Fill one of our envelopes with wild flower seeds and add a dandelion stamp to the front. 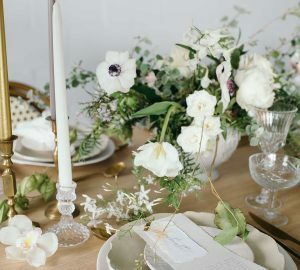 Perhaps you are baking your own cakes or cookies for your wedding dessert table? 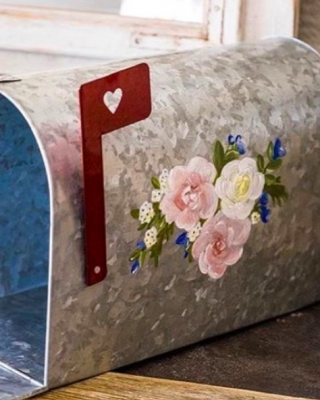 If so these baked with love stamps will come in handy. 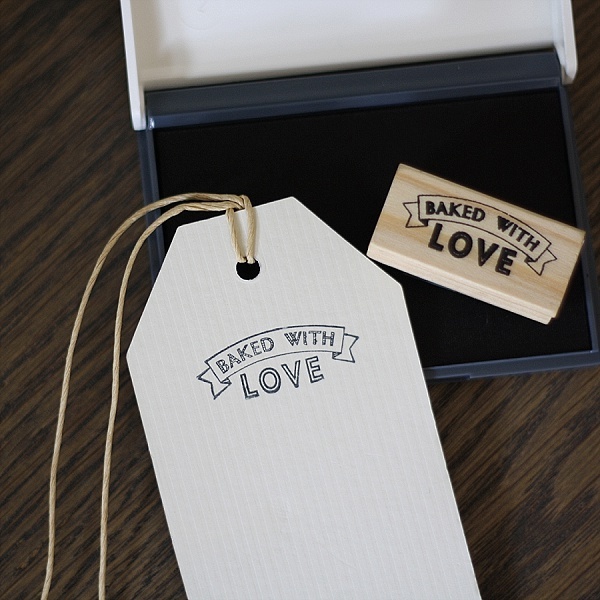 Let your guests know they have been hand baked using our stamp. These ‘To and From’ stamps are great for gift tags. You will no doubt be giving gifts to special guests, why not add the finishing touches to their gift wrapping with this stamp. 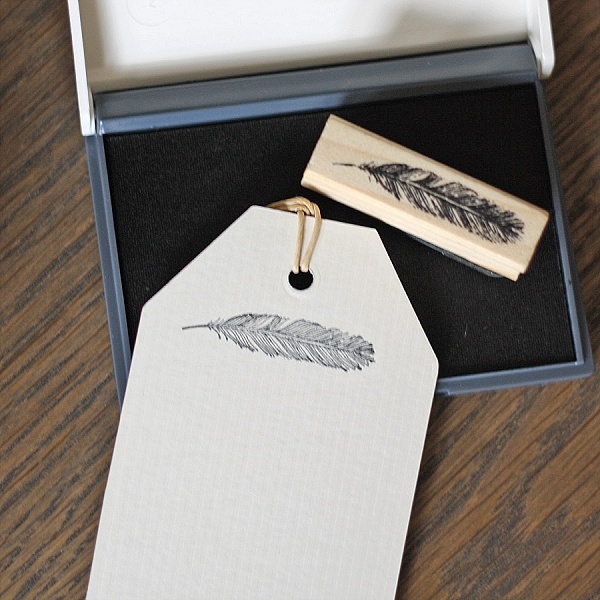 This lovely feather stamp could be used on your wedding place cards, invitations, order of service, you could have it as an ongoing theme through your day. 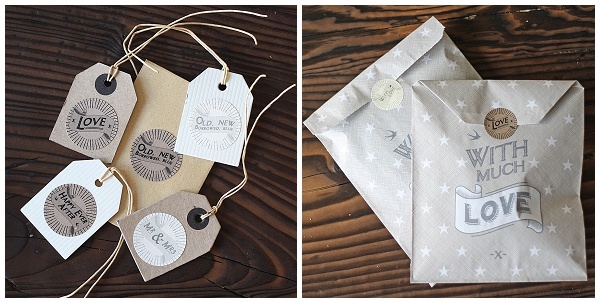 Our gift tags with scalloped edges come in a variety of designs. 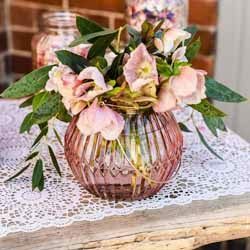 For wedding favours you may like our ‘Thank You’ or ‘Handmade’ design and for gift wrapping our ‘Made With Love’ and ‘With Much Love’ can be perfect. The tags are blank on the back so you can add your own message. Our little wooden gift tags can be great for rustic or woodland weddings. 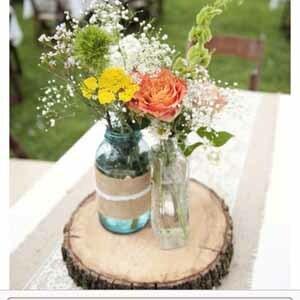 Choose the blank wooden gift tags if you want to use them as wedding place settings, you can write the guests names on the tags and lay them on their napkins. 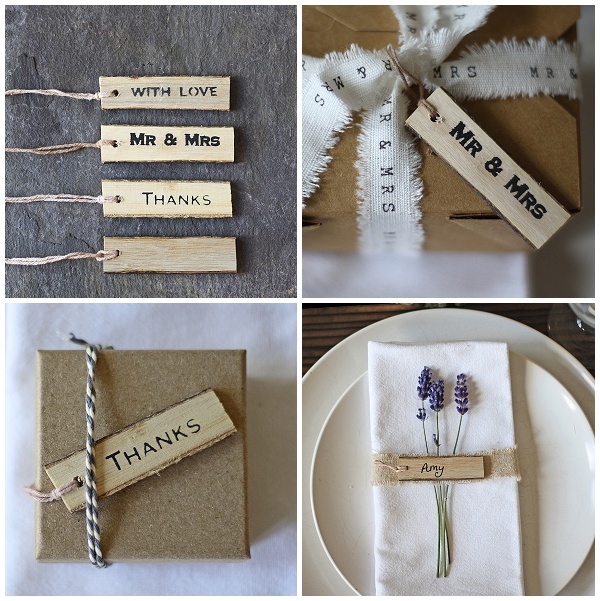 For gift wrapping or favours you may also like our other wooden gift tags. 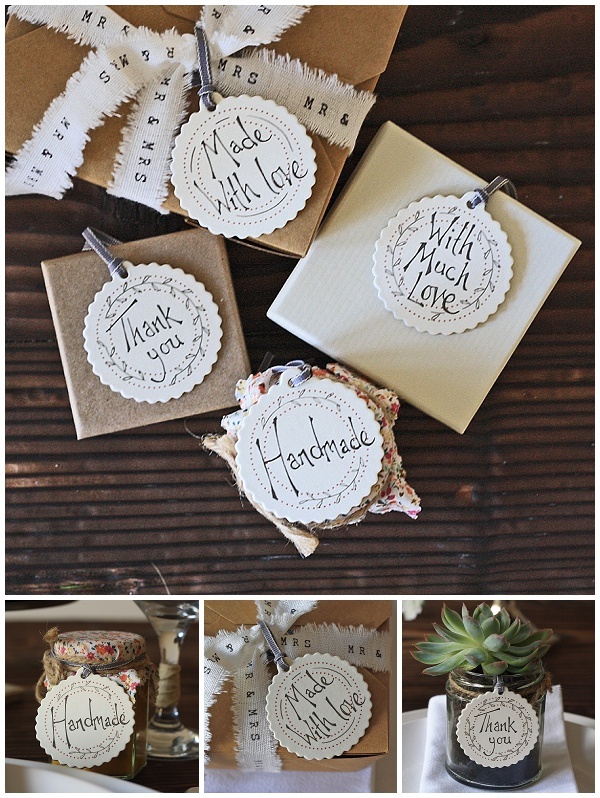 For your gift wrapping you may also like our round tree slice wooden gift tags. uh oh, I love them all! that makes it hard to choose what to buy !